They call it the Shroud, and Beacon is the only star that survived its wrath. Within her orbit, humanity lingers on alongside every living species. Vast layers of ships can provide you everything–except children. So when Mally and Tersias conceive, they are instant celebrities, lavished with accolades and gifts. But their act will carry a high cost, starting with the return of a specter from the past: mankind’s most dreaded enemy. And the end will become the beginning, in this sweeping tale of discovery, of intrigue, of war, of love against all odds, in which the only thing more dangerous than the dead of space are a few terrible secrets. 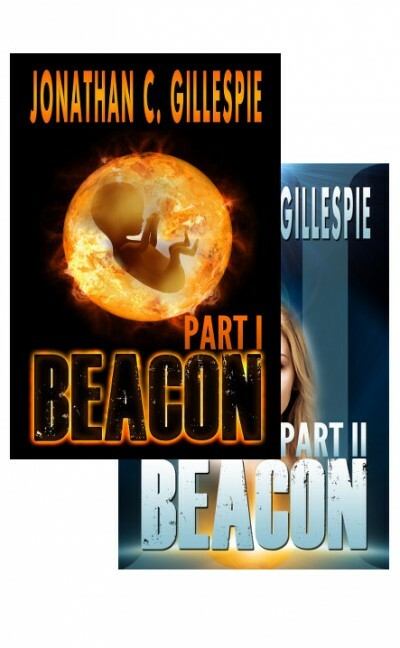 Note: the BEACON SAGA SERIAL is a tale told in parts, like all serials. This ebook includes parts I and II.